The brewer Karben4 does a pretty okay job in the brewers description. Phrases like “subtle smoke” point out that The Ministry is going to rate the smokepower taste a 1 out of 7 Smokestacks, and “creates new fans of dark beer” alludes to a genre I call gateway smokebeer indicating that this beer might be able to encourage disciples to reach out and connect with smokier and smokier beers en route to a deeper, more sophisticated palate. This might be the case where a new brewer finds itself hesitant to make a bold and aggressive concoction, opting for safer waters until a trusted name is established (and a few loans are paid off). Furthermore, the smell was a pleasant, although faint, campfire tone, clocking in at 3 out of 7. And speaking of faint, the smokepower taste is honestly too faint to rate for even a 1 out of 7, but that’s as low as the scale goes, so 1 it is. In conclusion, Karben4 did some things okay, but hit the smokepower target a little low. Brewer’s Description Robust all day without dictating your life, this is the porter that other dark beers hang a poster of on their own bedroom wall. Malt sweetness is just present enough to enhance the dark chocolate and roasted coffee flavors without destroying the drinkability. This brew provides a subtle smoke profile that simultaneously creates new fans of dark beer and tames the beast inside the bold-beer aficionado. 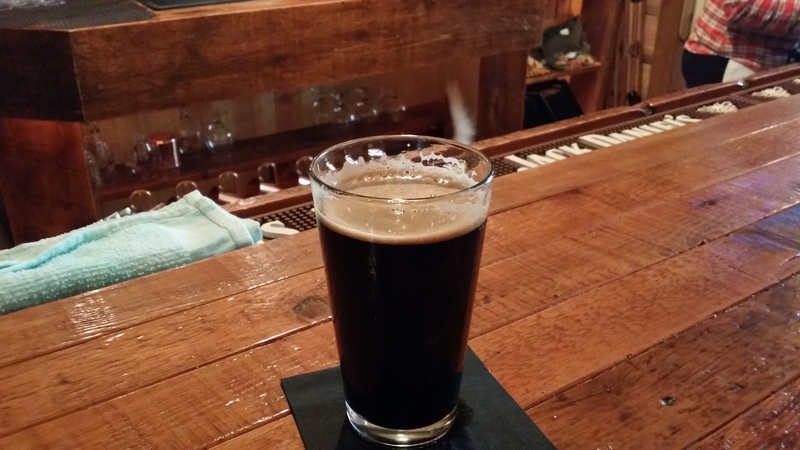 This entry was posted in Beer, Educate, Enlighten, rauchbier, Smokebeer and tagged 3 - 4, draft, Karben4, porter, Wisconsin. Bookmark the permalink.